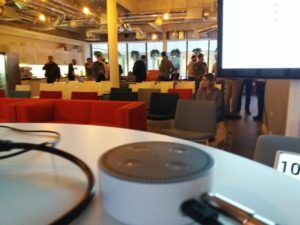 Alexa Skills Workshop in Brighton on 3rd July 2017. The second presentation, from David Ellis, was about CQRS and event sourcing. It was very timely for me as I’m reviewing the design of a platform I’m working on. CQRS stands for Command/Query Responsibility Separation and is the idea of using a different data model for reads and writes. One way of doing this is event sourcing, which records a system’s full history as a series of immutable events. These become an append-only system of record for the system (as well as a full audit). Representations of state can then be built from this (including in-memory where speed is needed). You can also produce representations of specific times – a form of time travel. David ran through the basics and showed how event-sourcing worked as a means for CQRS. While I’ve read about CQRS and event sourcing before, it’s great to hear someone talking about it. It also amused me that David’s examples were “written in Scala so that they fit on the slides”. Given that the talk was at Brandwatch, there was some good discussion afterwards about the possibility of using Kafka. I’ve also been wondering today about combining CQRS and REST and hope to research that next week. So, all-in-all, a good evening. My talk seemed to go well, and I learnt about CQRS. 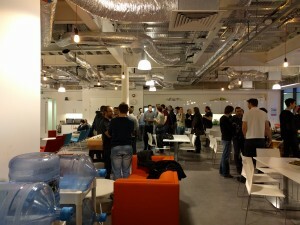 Thanks, once again, to Brandwatch, who hosted the event, as well as providing drinks and pizza. Luke and Adina helped set up the night, with Luke doing an amazing job with the tech side of things, handling sound, streaming and technical gremlins. I sometimes think I should have used a different name to Brighton Java. Maybe Brighton JVM would have been more appropriate. We’ve certainly had a wider range of talks than the name implies. But the name Brighton Java does seem to draw people in, and nobody complains about the eclectic selection of talks. You don’t come away from a talk like this knowing how to work with Scala – but it gives a clear demonstration that there are other ways in which code can work. While Java has certainly added many features in recent years, the language is a far less interesting and expressive one than Scala. It’s also interesting to see the way Scala supports different approaches to a same problem – Java, by comparison, tends to be more prescriptive about how to write code. For Richard, Scala works better for modelling some things better than Java’s class hierarchies – the talk worked as a good companion to Danielle’s talk the month before. We’re hoping to start a Scala workshop as part of Brighton Java, based on Functional Brighton‘s Learn You a Haskell group. It looks like we will base the first sessions on Underscores Essential Scala book. More news on that soon. It was a good meeting, sponsored by Brandwatch. 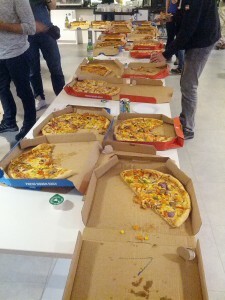 As well as providing the venue and AV equipment, they supported us with a great abundance of pizza. Thank you! Coding Dojos are a way for developers to practise together and improve their skills. I first became aware of them through the sessions run by Tom and Joh at Future Platforms. Since then, I’ve run lunchtime sessions at Crunch and now we’re running them as part of Brighton Java. The coding dojo begins with a description of a problem. Developers then take turns pair-programming for five minutes each, with one as the driver (using the keyboard) and the other as navigator (making suggestions). After five minutes, the navigator takes over as the driver and there is a new navigator. As the pairs work, they narrate what they are doing. The IDE screen is also projected so that everyone in the room can see it clearly. Seeing other people code is good for picking up the different ways people work. As developers we see a lot of people’s code, but few companies offer a chance to see it being written. By changing the people working on the dojo code, we see how developers respond to existing code. Coding Dojos typically feature the use of TDD. Test-driven development is one of those things that a lot of companies endorse, but few use properly. Trying to maintain a tight test-code-refactor cycle is much easier with an audience to act as a conscience! At the end of the session, everyone takes a turn saying what went well, what went badly, and anything they’ve learned. Why would I want to attend a Coding Dojo? Whatever your exact job within programming, it’s vital to be comfortable with basic development. The structure of a coding dojo, with its focus on deliberate practise and review makes a good environment for learning. This is important for new Java developers, but there are also valuable insights for advanced developers – not least, practise at collaborating with people at different levels. I’ve definitely gain from the two recent sessions, which have provoked interesting discussions on when to refactor, the place of design in TDD/agile and error checking in functions. None of these are advanced issues, but I reckon they are all vital for day-to-day work. Another reason for attending is that the sessions are fun. You get to meet other developers and work with them. Collaborating with people from outside our own companies is a great way to learn new things. On Wednesday it was Brighton Java, where Richard Dallaway gave a preview of his QCon session, Types working for you, not against you. Richard has spoken at Brighton Java twice before (an Introduction to Scala and Lambda Expressions in Java 8) and it was good to welcome him back. While I don’t know Scala at all, the talk was a fascinating insight into the language. 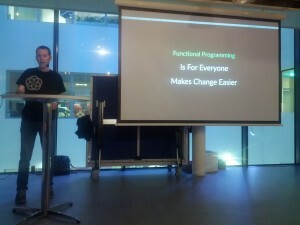 By focussing on types, the talk gave an idea of Scala’s power and flexibility. Richard described Scala as an ‘unopinionated language’, allowing for a great freedom of style. It was also interesting to learn a little about Monoids and the ways they could be used. The talk reminded me that I really need to look into Scala more. While I recently became excited about groovy, I found this quote from James Strachan, the language’s designer: “if someone had shown me the Programming in Scala book… back in 2003 I’d probably have never created Groovy”. Richard listed some good starting points for investigating Scala – see the threads here. 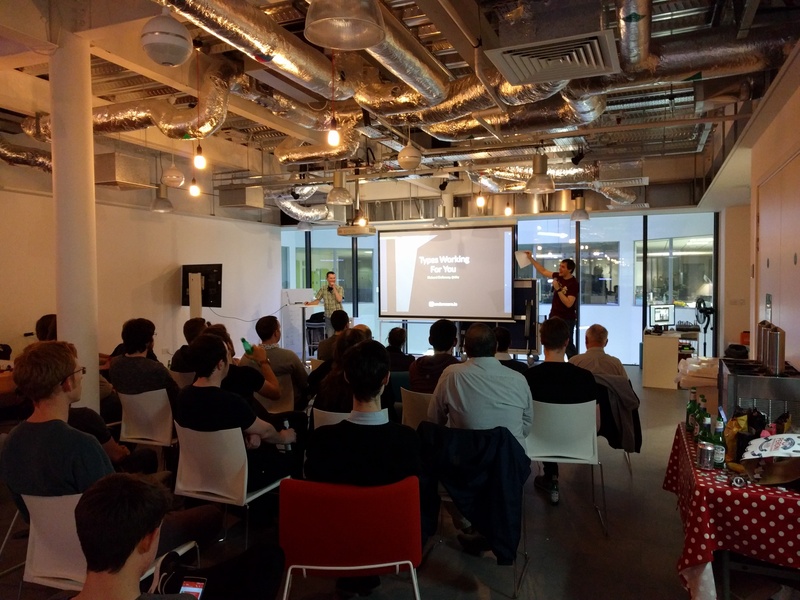 Wednesday was the first Brighton Java meeting held at the Brandwatch HQ. We had a record number of signups, with 50 people turning up on the night. 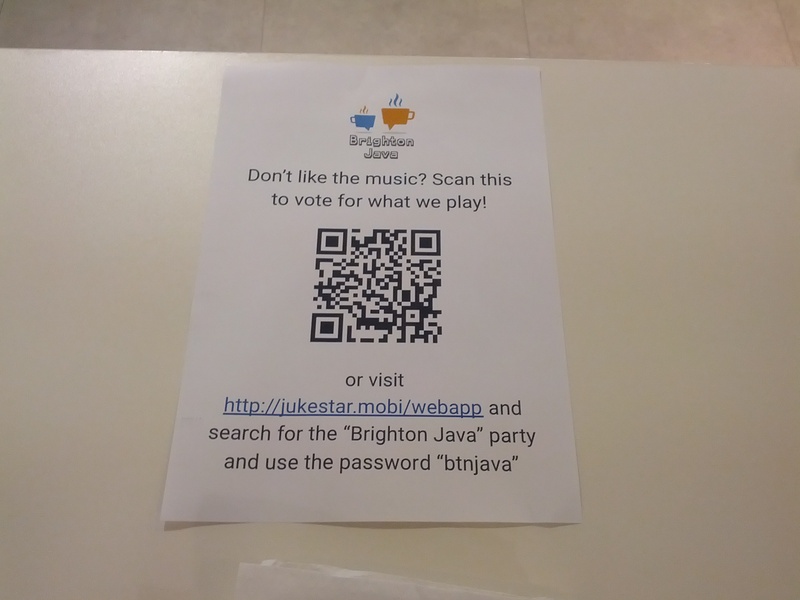 I’m pleased to see this much engagement from Brighton’s Java community. On a personal level, I’m delighted with how Brighton Java has grown. The audience has increased massively since the first meeting back in August 2012. The ongoing support of Brandwatch and the Skiff have been fantastic. I’ve also really appreciated the help of my co-organisers Luke and James. Things have really got going since they came on board. Now to organise our April events. Yes, for the first time we’re going to be doing two events in a month. Let’s see how this goes. 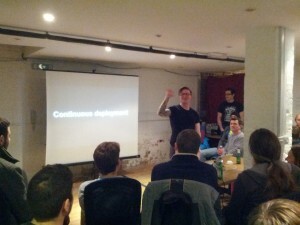 Last Wednesday we had Brighton Java’s March event. It was another good turn-out, with about 35 people turning up to hear Jose Baena talk about his experience of continuous delivery. Hearing about other people’s experiences with introducing a technology is incredibly valuable. The talk was followed by a discussion, chaired by James Stanier. We’ve not often used this format but it drew out some interesting discussion points. Jose’s presentation was great (especially the hypnotic footage of an apple-slicing machine), with some useful suggestions on how to get Maven, Nexus, Ansible and Jenkins working together – with Jenkins acting as the driving force. There was also a detailed explanation of the importance of versioning. The discussion underlined something I’ve been thinking about for a while – that things like continuous delivery need to be put in place early on, that these sort of infrastructural things are hard to retrofit. But that’s a story for another post. Dan Chalmers has also posted a response to the meet-up: Continuous Deployment and Developers on-call. Dan does a good job of explaining the issues around making developers responsible for their code. I still think this is important but making it work in practise is a subtle, difficult problem. We had a packed session at Brighton Java last Wednesday, with Kim Knup from Crunch starting by discussing Agile Testing. The testing community is absolutely incredible and they’ve done so much to define their role within software development, moving it away from the unsophisticated idea of simply catching bugs. The second talk was Luke Whiting on Micro services, micro effort. The slides and source code are now online. I’m looking forward to playing with the tools that Brandwatch have been working with in this area. 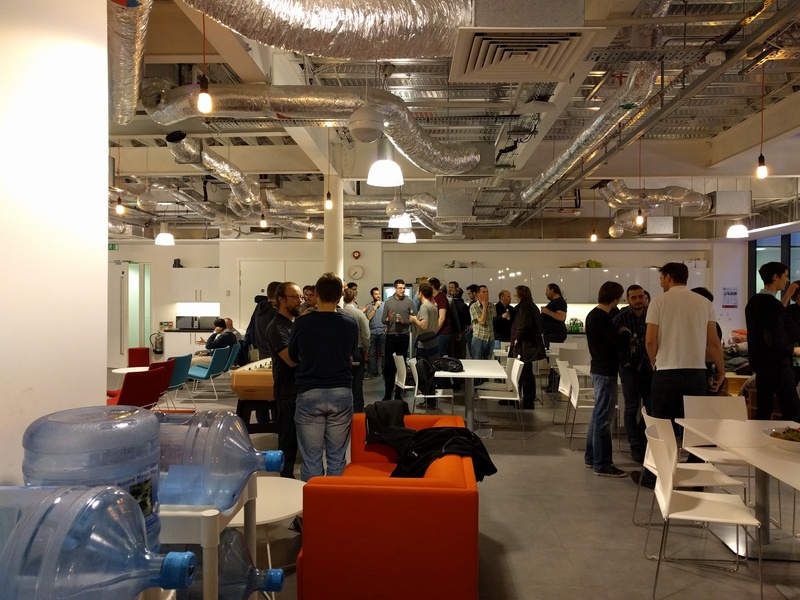 The next Brighton Java meeting is on March 4th, with speakers to be announced nearer the time. I don’t know who it is yet, as I’m not organising this one. I’m looking forward to being able to relax a little more on the night. Weblogs are generally quietest when there are a lot of things going on in the writer’s life. I have notes on several posts but haven’t finished any yet. I’ve been researching a lot of topics such as RabbitMQ and Docker, thinking about microservices and handed in my notice at Crunch. There’s certainly a lot to talk about. 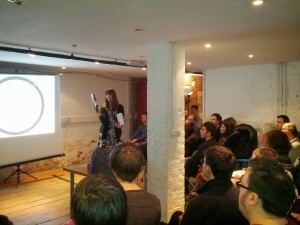 I also need to write up some notes on my talk at Brighton Java in January. 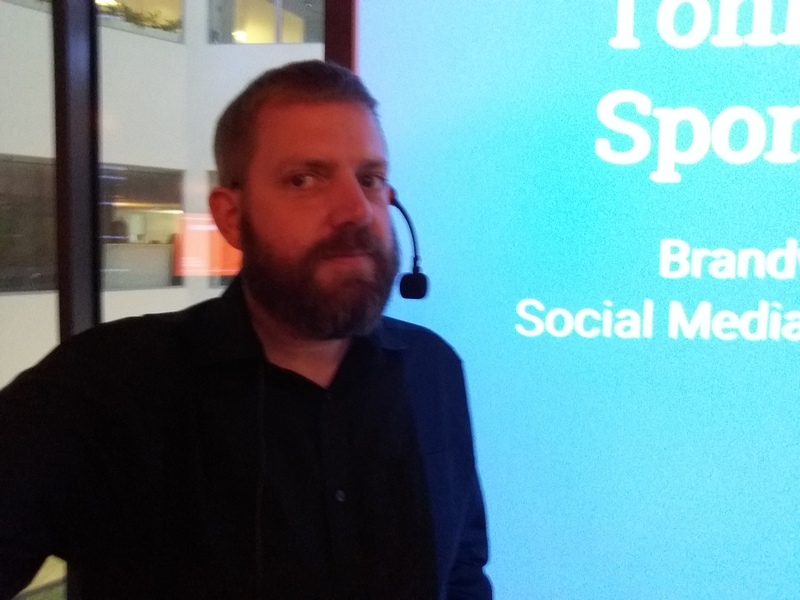 For various reasons (some of them out of my control) the talk was less successful than I’d hoped, but I think there were some useful points in there. 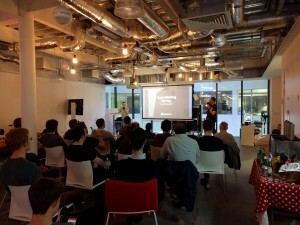 The February Brighton Java event is on the 4th, and there are only a few spots left. Kim Knup is talking about Agile Testing and Luke Whiting is returning to talk about developing services in Spring. I also need to find speakers for the March event. I’m speaking at the next Brighton Java event on January 7th about ‘microservices for monoliths’. I’ve not started writing the talk yet but, as it’s three weeks away, I need to get started soon. I work on a monolithic piece of software. Moving to a microservice architecture is some way off but, even now, there are incredibly useful insights and techniques from the microservice world. The methods needed to support hundreds of different servers have spin-offs that can help when you have just one. I also hope to look at how treating your software as a monolith is a dangerous abstraction, as well as giving quick demonstrations of Wiremock and Hystrix. Brandwatch are providing pizza and beer. We kick off at 7pm at the Skiff. Sign up if you’d like to join us. Brighton Java has settled into its traditional Christmas break. And it’s great that we’re established enough to have a tradition! When we started in 2012 it was difficult to get going but this year things have taken off. We have 260 people in the group and our last session was full with very little promotion. A lot of this is due to the sponsorship we’ve had. The Skiff provide us with a great venue, and we’ve had a great deal of support from Brandwatch – the promise of pizza and drinks definitely draws people in. I’ve also had some help from James Stanier and Luke Whiting with organisation and planning. It’s now time to start planing the 2015 events. Next year I’d like to try to have an event every month. We had hoped to have a Hack Day as part of the Brighton Science Festival. That wasn’t possible, but I hope we can arrange something similar later in the year. I’m also hoping to bring in more students from the universities, as well as some academic speakers. I’d also like to see some smaller, more technical workshop events. This is an exciting time for Java, and the claims that it was dying or “21st century COBOL” are quietening down, replaced by excitement over new JVM languages, microservices and the possibility of finally getting some long-promised features in Java 9. I’m very excited about the talks and events to come from Brighton Java in 2015. Luke Whiting: Dr Strangedev, or How I Learned to Stop Worrying and Love the Release! I’ve enjoyed the sessions, and am grateful to all the speakers – I think we’ve provided a varied and up-to-date range of talks. If you’d like to be involved in 2015, please get in touch. The next session will be on Wednesday February 4th 2015, at the Skiff. Details and signup will be via the meetup group Wednesday January 7th 2015. I will be speaking about applying microservice techniques to monoliths and my colleague Danielle Ashley will discuss an inappropriate Scala project.